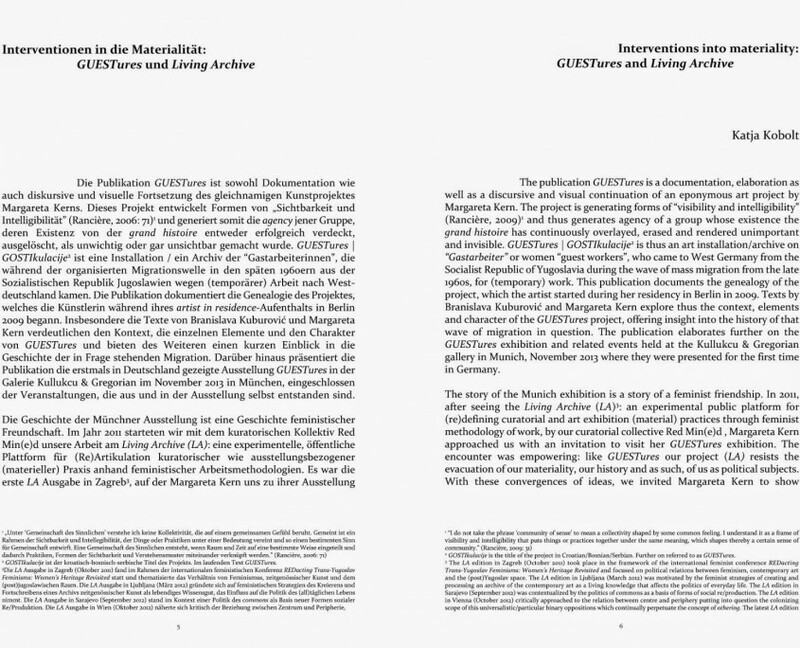 Publication GUESTures | GOSTIkulacije (2014, eds. 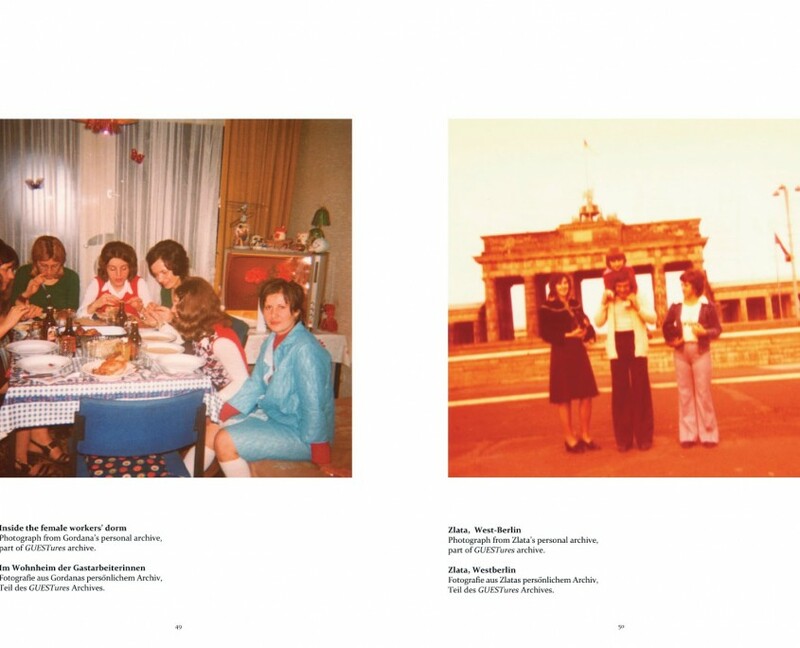 Margareta Kern and Katja Kobolt, English, German, pp. 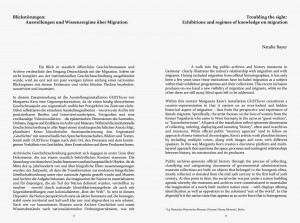 76) draws upon Margareta Kerns’ long term project and engagement with the overlooked histories of migration and their reverberations in images and stories. 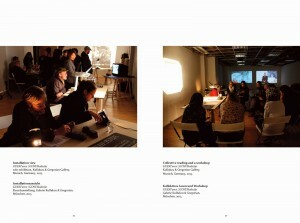 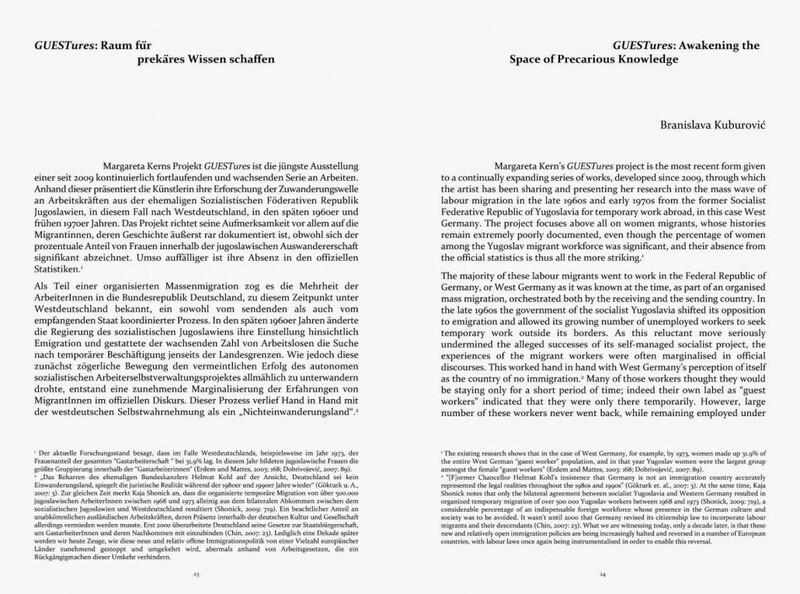 The publication brings together personal material from the women that Kern interviewed, as well as the material from the collective reading workshops that were staged with different groups and generations of migrant workers and gallery visitors, during GUESTures exhibitions in Munich, Zagreb, Ljubljana, Banja Luka and Berlin (2009 – 2013). 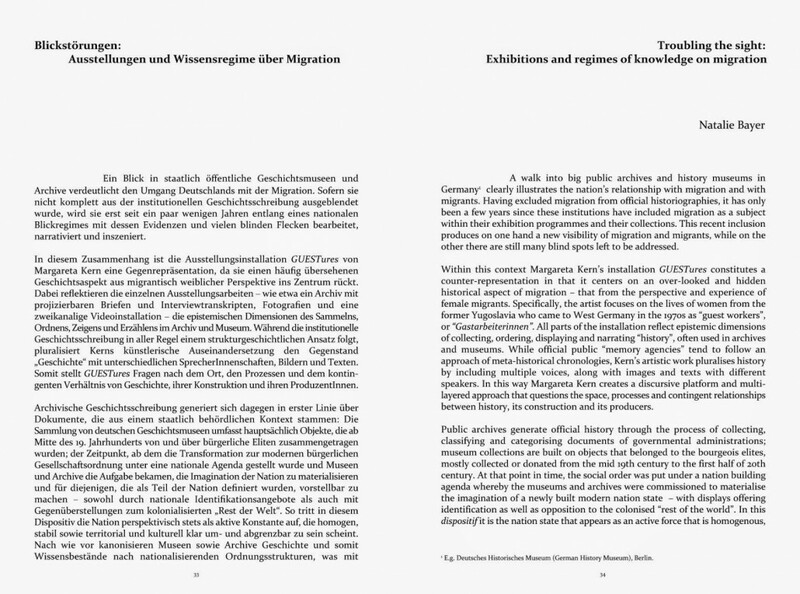 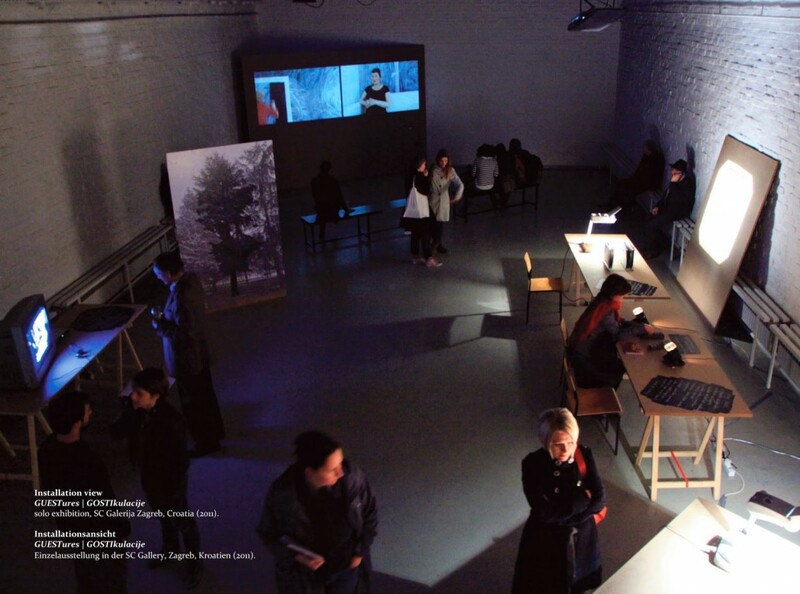 It includes texts by Natalie Bayer, Nanna Heidenreich, Katja Kobolt and Branislava Kuburović, who probe the issues of feminist (living) archive, spaces of precarious histories, exhibitions and regimes of knowledge on migration (especially in relation to museums), and the space for/and role of fiction in migration stories and its representations on screen and in photographs. 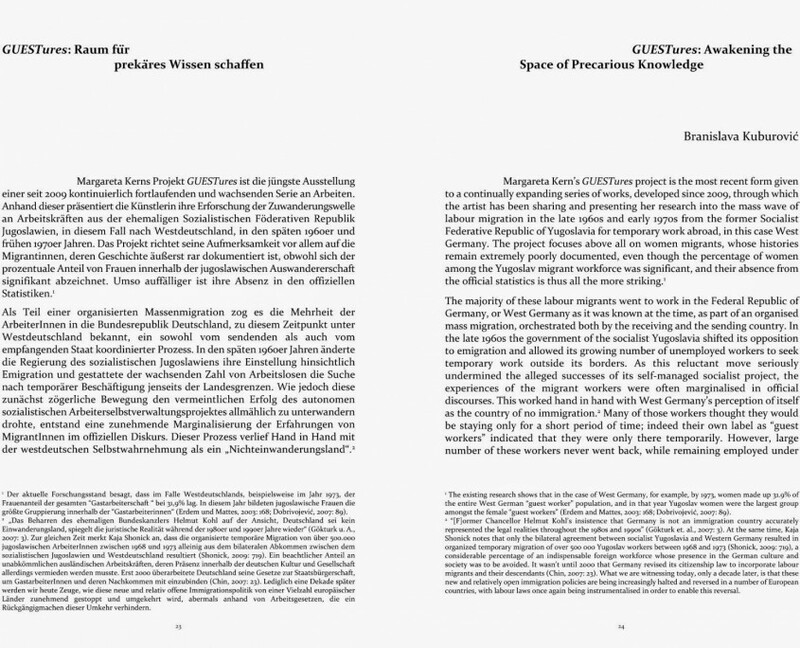 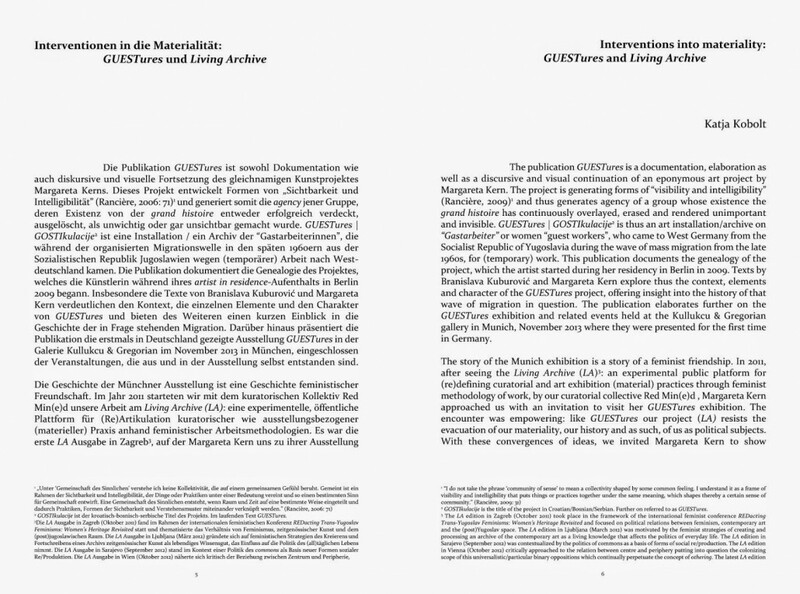 The publication GUESTures is a documentation, elaboration as well as a discursive and visual continuation of an eponymous art project by Margareta Kern. 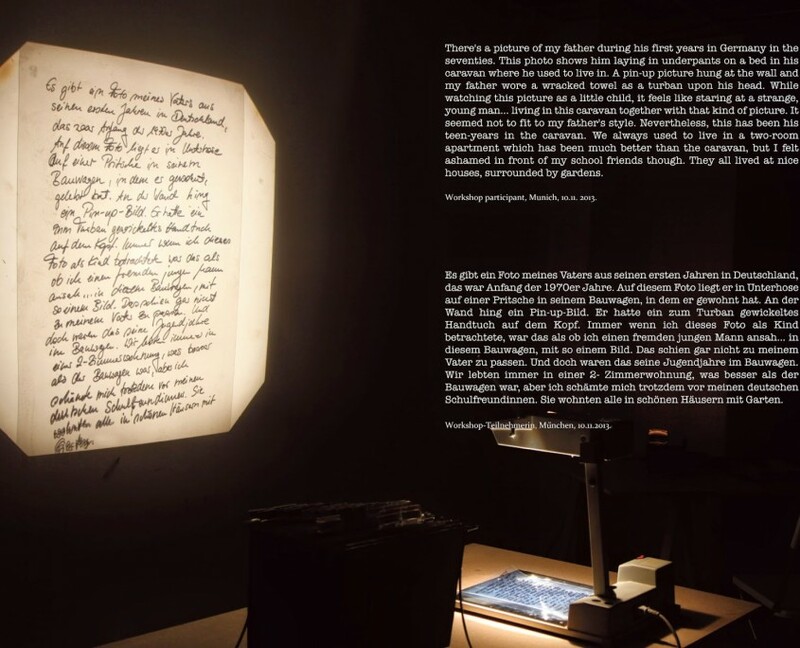 The project is generating forms of “visibility and intelligibility” (Rancière, 2009) and thus generates agency of a group whose existence the grand histoire has continuously overlayed, erased and rendered unimportant and invisible. 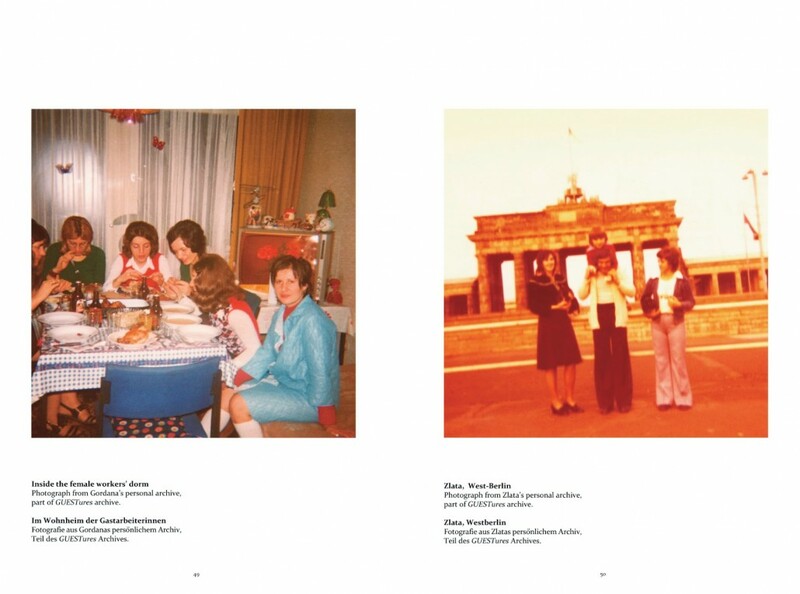 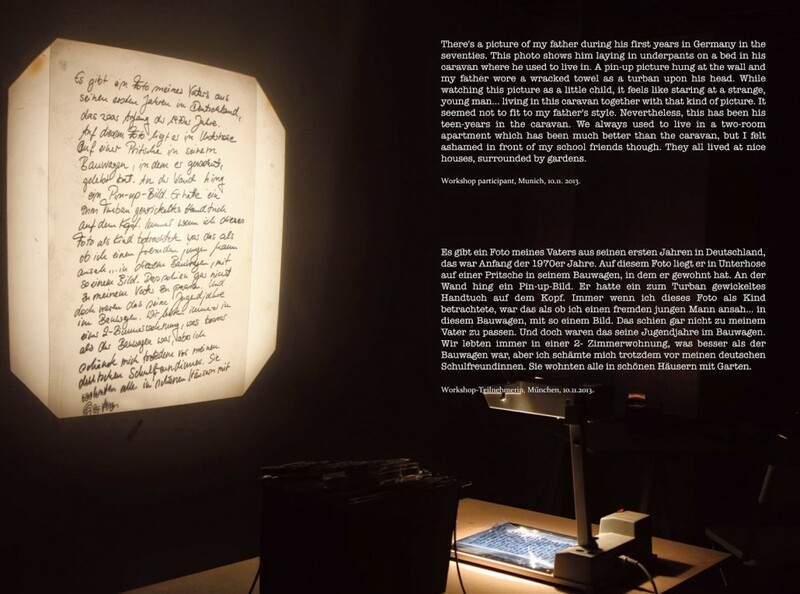 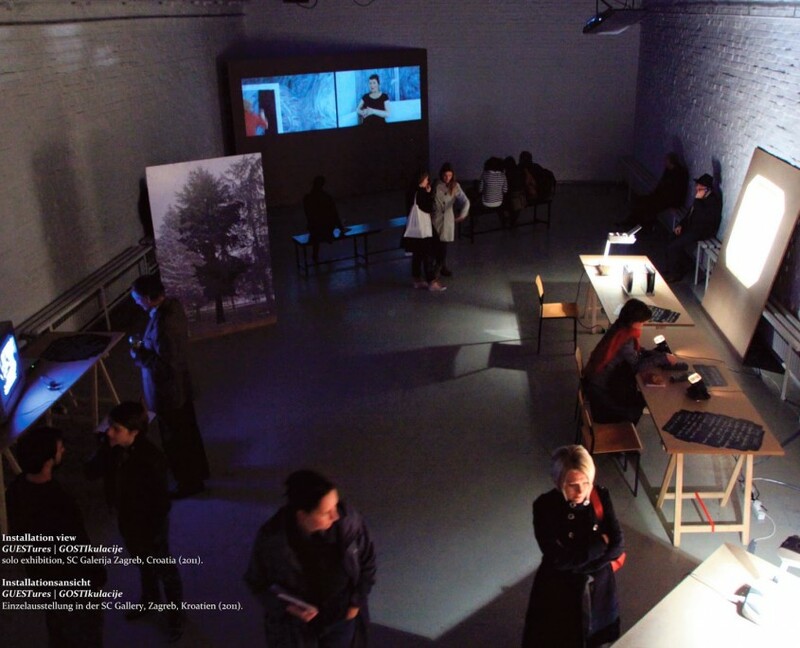 GUESTures | GOSTIkulacije is thus an art installation/archive on “Gastarbeiter” or women “guest workers”, who came to West Germany from the Socialist Republic of Yugoslavia during the wave of mass migration from the late 1960s, for (temporary) work. This publication documents the genealogy of the project, which the artist started during her residency in Berlin in 2009.